4 am wake up. 5 am in line. 6 am Fibre Space opens. 6:40am inside with 30% discount. 7:15 am 32 skeins of yarn richer and a complete success. 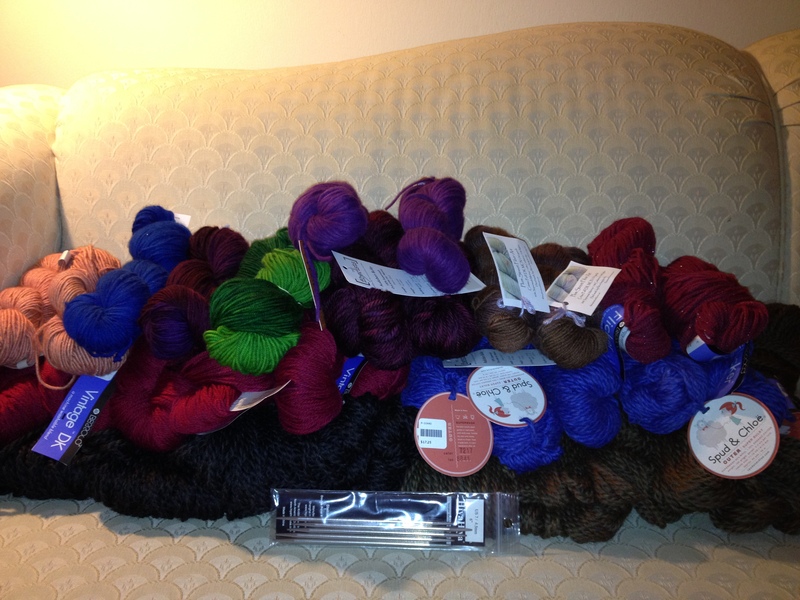 9 skeins of DK, 6 skeins of worsted, 4 skeins of bulky, 9 skeins of super bulky and a set of size 7 DPNs. Did your Black Friday go as well?